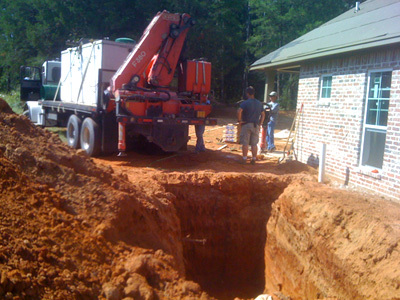 Patriot Septic Designs, LLC offers complete septic system design and installation with seamless transition and personal service. We handle everything in the process for you: initial site and soil evaluation, state-of-the art system design, and complete inspection and permitting. Patriot gives you the convenience of completing the entire process with one company, eliminating the frustrations and extra costs of coordinating your job through multiple providers such as designer, engineer, installer, maintenance tech, and inspector. We handle it all for you, answering your questions and addressing your concerns as a total service provider. Ours is the only phone number you will need! Serving the East Texas area: Smith, Gregg, Rusk, Upshur, Wood, Cherokee, Henderson, Anderson, Harrison and Van Zandt counties.